Duration Windows are pleased to support the objectives of Castle Point Community Safety Partnership in working for a safer borough. For the next month we will be raising money for Havens Hospices, in our offices and down our exhibition centre at Knightswick shopping centre. So why not give something special this christmas and help us raise money for Havens Hospices. Come and visit us and have your picture taken with a giant bronze statue of a Gorilla or a chimpanzee. Bulky radiators are a pain to install, require planning permission, take up space, and if they leak they can be a nightmare. Wouldn't it be nice if you could heat your home without them. Well now you can! We are the first trade manufacturer to bring you, electrically heated glass. The glass will quickly and efficiently heat any room. A totally invisible heat source that will almost instantly fill the room with a gentle radiant heat. Pioneered in Finland, this product brings you super effective, zone controlled room temperatures up to 40°C, and is easily installed without the need for any plumbing or planning permission. Our New Duraview Plus Aluminium Sash Windows are fully compliant to the new more stringent 2010 building regulations, they have been designed specifically to replace the old now incompliant, Duraview VS. These New Windows make for cost effective, low maintenance and authentic sash windows. The slim size of the outer frame lends itself to being retro fitted into the existing timber frame of an old sash window. The benefit of this is a quick and easy installation, with next to no disturbance to the interior decor. Authentic glazing options, range of cill's, deep bottom rails and sash horns are optional extras available for dressing your windows to be as authentic as possible. The latest revisions to Part L Building Regulations, which are due to come into force in England and Wales in October, will set a new mandatory requirement for window energy performance within the Window Energy Ratings (WER's) Scheme. Forward thinking investment in product development and testing over the past few years has put us - and our customers - one step ahead of this major update of energy efficiency regulations. We have taken all the necessary steps to ensure that all our products comply to these new more stringent regulations. With only the following exceptions... Duraview VS Windows, Prime VS & HS Windows, Monarch VS Windows, Monarch Patio Doors, Smarts Slide Patio Doors, Smarts Visoline Windows, Shopline Commercial. Our website has been due a re-fresh for a while, but we have finally made the decision to update things a bit. We have been working hard to completely re-design our website and as you can see things have started to change. Gradually our entire site is going to be changed over to the new style. Please feel free to contact us with any feedback you may have. 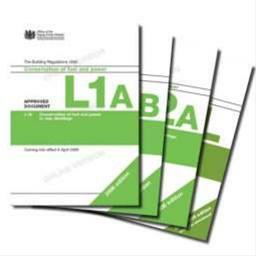 All of our products comply with the current Building Regulations and we are fully prepared for the new building regulations due to come into force in October this year. Duration Windows intend to be future proof. You will notice a few changes in our product range over the coming months. There will be some upgrades to current products and to glass units, more test certifications across the board and a few products will be discontinued, but many of our products already exceed the current Building regs. and will easily meet the new regulations. We will be keeping you informed of progress via our news letter and here on our News board. We are opening a brand new Showroom in Canvey Islands Knightswick Shopping Centre, to cater for walk in traffic. It will be home to a broad range of our aluminium windows and doors. Come; look and feel the products before you buy. The opening date is yet to be confirmed. 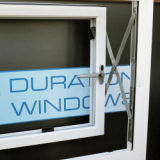 Our Premium windows can now incorporate our Anti-ligature Chelton handle and Ste’alth Secure Locking. Known as our Ultimate window it was unveiled at Grand Designs Live at the ExCeL on the 1st of May. Our Ultimate Window can be upgraded to meet the requirements for an ‘A’ Rating in energy efficiency by using triple glazing. 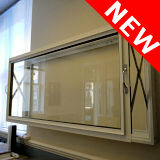 Now available to order, this window will save you money on your heating bills, looks beautiful and is highly secure. So add value to you home with our ULtimate and Ultimate Plus windows. Brand new to our aluminium window range is our innovative Push Out Panel (POP™) aluminium windows. The window system opens out parallel to the opening, and can be held in any open position. The opening distance can be restricted to any distance to provide safety and security. The window system uses the superior polyamide thermal break, has sashes of up to 200kg in weights and are suitable for both commercial and domestic applications. Brand new to our secondary glazing range is our innovative Pull In Panel (PIP™) secondary glazing. The system opens into the room parallel to the opening, and can be held in any open position. The opening distance can be restricted to any distance to provide safety and security. Some of the key advantages of the new PIP™ Secondary Glazing system is that it allows for very large single panels of up to 200kg in weight and the ability to have single or double glazed units, in our subframe system. We have booked a stand for Grand Designs. Come and see us in May of this year, at the ExCeL in London. Stand B214. Grand Designs Live, voted Consumer Show of the Year is the event for design and inspiration for your home! 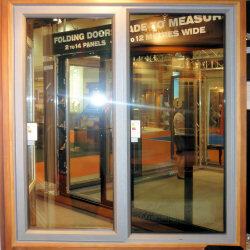 We will be taking our folding doors, as seen on Channels 4's 'The Home Show', which were so popular last year. We have received conformation from our trade customers that our Heritage Windows have been successfully installed into Grade II Listed Buildings. Come see us at BSEC The Building Schools exhibition and conference, this will be our first year at the show and the first year that the show comes to London. We will be exhibiting for the full duration of the show and taking many of our new innovative produces. Including a range of slim-line aluminium windows, our patented anti-ligature Chelton handle and Ste’alth Secure™ locking. Entry to the exhibition is free, but the conferences are at a cost. 29/01/10 - Listed Property Show @ Olympia, London. We will be attending the listed property show on the 20th and 21st of February. This exhibition provides owners of listed buildings with access to the products and services of over a hundred companies that supply products suitable for listed buildings. This year is the third year running that we have attended the Listed Property Show. Why not come and see us, entry is free and we will be taking many exciting products. The products on show include our Heritage Windows (our steel replacement system) and our Secondary Glazing (for when replacing your windows just isn't a feasible option).